Morning pickup from Delhi Airport / Railway Station / Bus Stand / Hotel by placard carrying driver to commence the sightseeing tour of Delhi. Morning tour of Old Delhi visiting Raj Ghat and Shanti Vana - the cremation sites of Mahatma Gandhi and Jawaharlal Nehru, Jama Masjid and drive past Red Fort and Chandni Chowk. Afternoon visit Qutub Minar, Humayun's Tomb, India Gate (War Memorial Arch ), & Lakshminarayan Temple - a modern Hindu Temple. 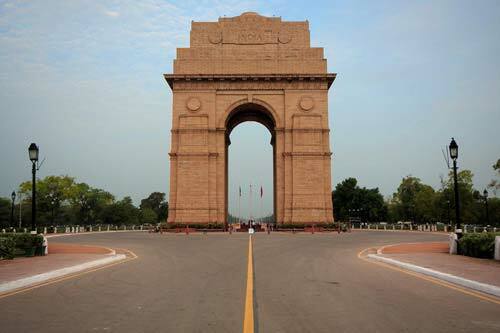 Also drive past President's House, Parliament House, Government Secretariat Buildings and Connaught Place shopping centre. 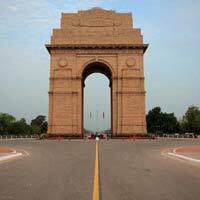 Evening Drive to Delhi Airport / Train Station for your Home Destination or Hotel. (Service Ends).